On October 4, nine of us from GFI Software™ will be joining 1,500 people from the IT and business community who’ll be sleeping outdoorsacross the UK. As part of Byte Night 2013, our team will be spending the night in cold, cold Edinburgh at Holyrood Park (just next to the Queen’s Scottish residence of Holyrood Palace). That’s right! We will be sleeping outside. In Scotland. In October! You may be wondering why on earth we would want to do something like this. Well, I can assure you it’s not because we’ve lost our minds but it is in fact to raise money for Action for Children, a charity which tackles the root causes of youth homelessness. Essentially, we’re sleeping out to try and ensure that others don’t have to. And not just content with the challenge of a night spent out in the cold, our team is going to up the ante just that little bit more. We are prepared to work hard for every single donation we receive and so we’ve given ourselves an extra challenge. 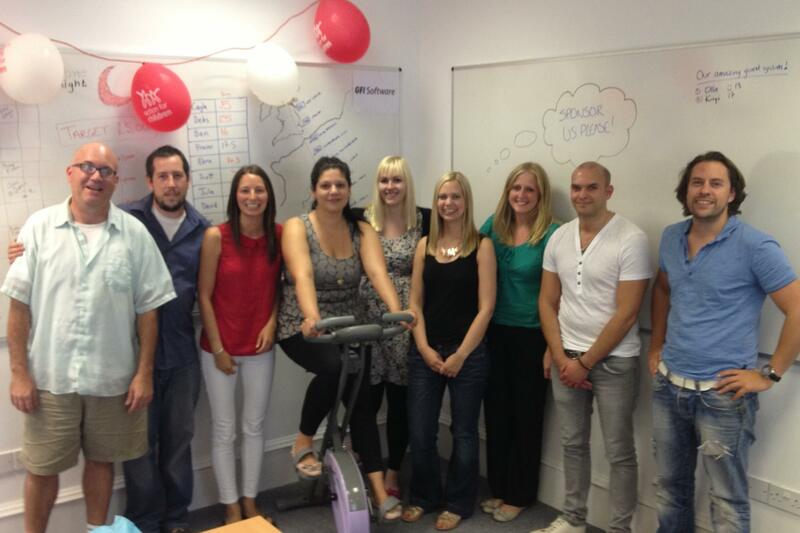 In a bid to reach our £5,000 target, we have set ourselves the challenge of cycling 2,191miles on an exercise bike. That’s the distance from our office here in Edinburgh all the way to the GFI offices in Malta – and to make it harder, we’ve only given ourselves six weeks to do it in. And if you think sleeping outside and cycling across the ocean is enough, you’d be wrong! We’re also baking up a storm, selling cakes to all our lovely colleagues and planning a fundraising extravaganza of entertainment at Le Monde, including live music from progressive blues/funk band Rhythm Beats Workin and standup comedy from Keara Murphy. If you would like to find out more about any of our fundraising challenges, or you’d simply like to make a donation to a great cause, just head over to our JustGiving Page to see how we’re getting on.